After the detailed analysis of the latest syllabus and the pattern of last few year papers of WBJEE entrance examination, Subject Experts at Jagranjosh come up with the concise chapter notes of chapter Chemical Kinetics including important concepts, formulae and previous years' solved questions for WBJEE 2018. Physical Chemistry is a very important part of Chemistry in the syllabus of WBJEE 2018. About 35% of the questions come from Physical Chemistry in the paper. The numerical problems asked from this part are not so tough. Students have to apply the related formula to find the answer. The chapter “Chemical Kinetics” is one of the most important chapters of Physical Chemistry. Engineering aspirants always get 2-3 questions directly from this chapter in the examination. In this article, we bring to you the notes of chapter Chemical Kinetics based on the latest syllabus to help students in their preparation for the examination. Some of the most important topics of this chapter are rate of chemical reaction, factors affecting rate of reaction, order of reaction, half life of a reaction. (i) Concentration: At a given temperature, higher the concentration of reactants greater the rate of reaction. (ii) Temperature: As the temperature increases rate of chemical reaction also increases. (iii) Catalyst: On adding the catalyst the rate of reaction increases. (i) In rate equation sum of the exponents, x + y, gives the overall order of a reaction. (iii) A zero order reaction means that the rate of reaction is independent of the concentration of reactants. The reaction taking place in a single step is called elementary reactions. When a reaction does not complete in single step but takes sequence of steps then it is called complex reaction. Rate is doubled when concentration of ‘A’ is doubled. Also, rate is quadrupled when concentration of ‘A’ is raised four times. This means that there is no effect on rate of reaction when we raise the concentration of B. 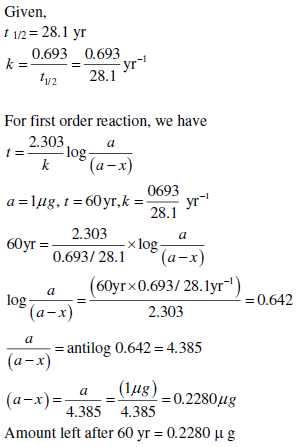 Order of reaction with respect to A is 1. 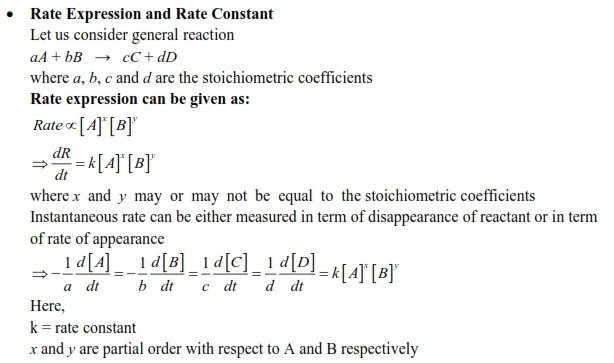 Order of reaction with respect to B is 0. 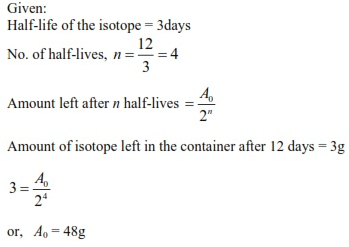 Total order of reaction is 1. 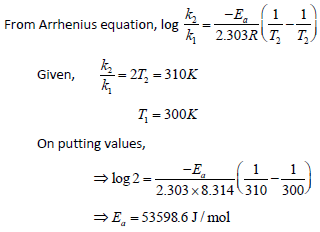 (A) the number of collisions among the reactant molecules increases with increasing temperature. (B) the activation energy of the reaction decreases with increasing temperature. 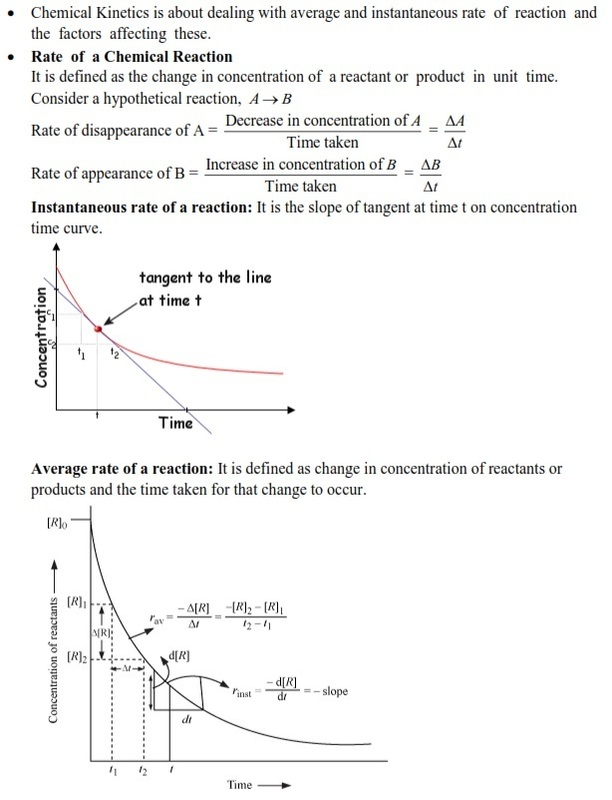 (C) the concentration of the reactant molecules increases with increasing temeprature. (D) the number of reactant molecules acquiring the activation energy increases with increasing temperature. (i) the number of collisions among the reactant molecules increases with increasing temperature. 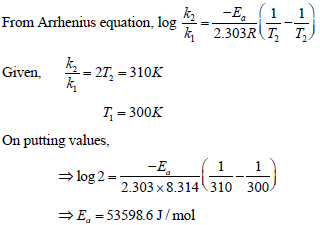 (ii) the number of reactant molecules acquiring the activation energy increases with increasing temperature. Hence, the correct options are (A) and (D). You can also have a look on the following questions and solutions to check your preparation. Hence, the rate of the reaction will increase by 9 times. remain after 60 yr, if it is not lost metabolically? Students can easily get familiar with the difficulty level of the paper with the help of previous years’ solved questions given here. Also, students can practice questions given in these notes to track their progress. It will help students in their preparation and save their precious time.